ALBANY, N.Y. (AP) — Some politicians are irritated that a Rochester brewery receiving state economic development funding bought beer fermentation tanks from China that could have been produced in New York. Three upstate members of the Assembly and the Little Falls mayor on Friday criticized Democratic Gov. Andrew Cuomo and his economic development agency for not requiring state economic investments benefit New York businesses. 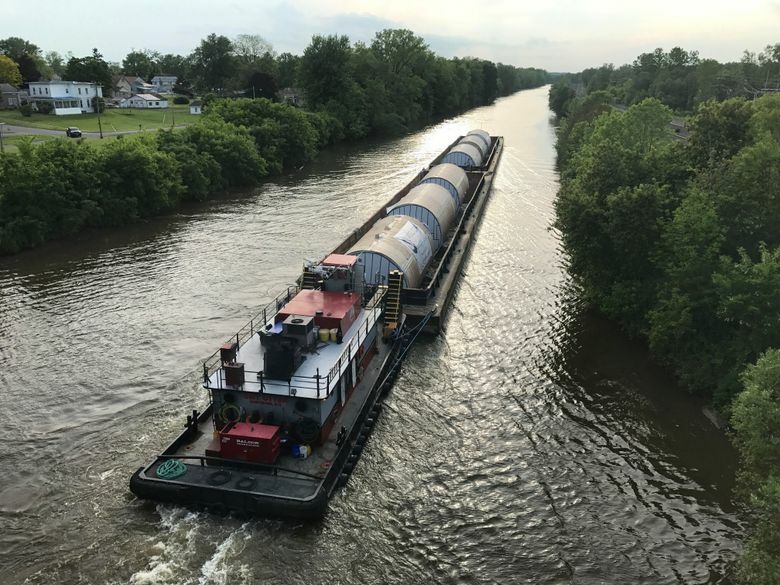 The lawmakers say Syracuse-based Feldmeier Equipment Inc., which has two factories on the banks of the Erie Canal in Little Falls, could have produced the 12 China-made 20-foot-by-60-foot tanks that are now being hauled to Genesee Brewing Co. via the canal. A spokeswoman for the brewery, Mary Beth Popp, said Genesee has bought seven tanks from Feldmeier over the last three years. She said Genesee reached out to the company for a bid on the 12 tanks but was turned down twice. 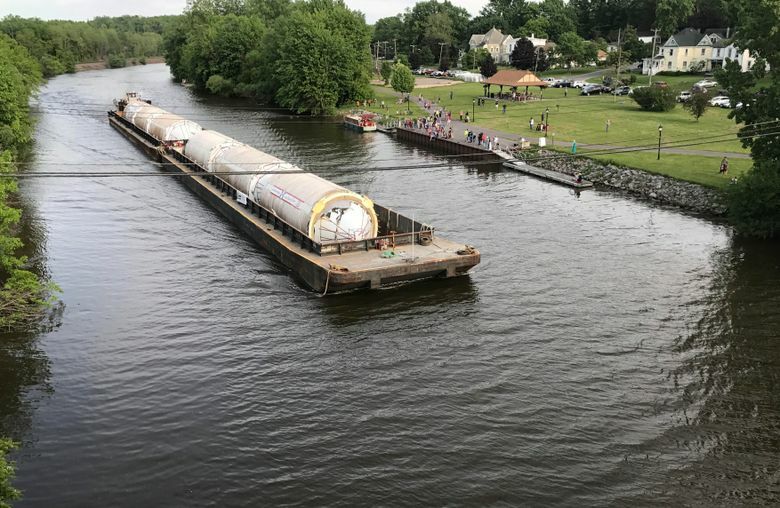 The Chinese tanks are too large to transport long distance by truck or rail, so they’re floating the 225 miles to Rochester. 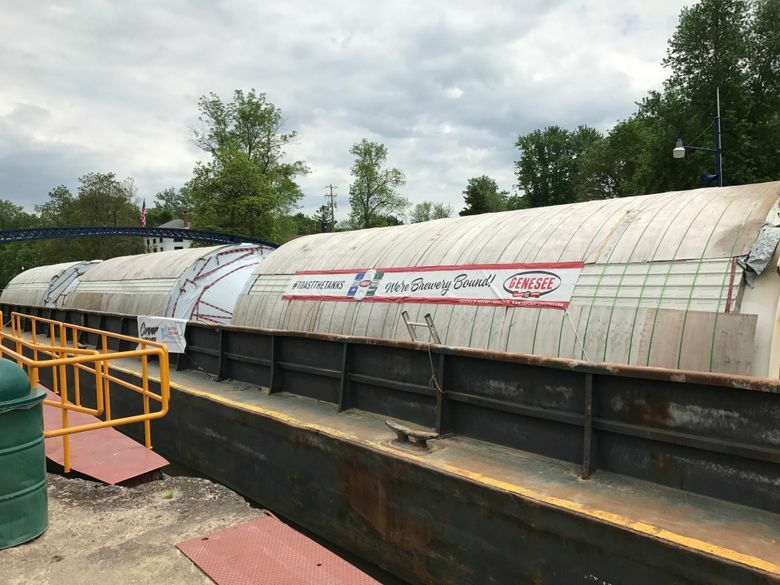 They are set to arrive in Rochester later this week and will be transported the few miles between the canal and the brewery by specialty trucks. They already passed Little Falls on the canal last week, prompting protests from some Feldmeier workers. “It disgusts me to know that state economic development dollars were used to support a project where goods were manufactured in China, when we have companies like Feldmeier Equipment that produce products like this right in the Mohawk Valley,” Assemblyman Anthony Brindisi, a Utica Democrat, said in a statement. Genesee Brewing Co., in downtown Rochester, is eligible for about $10 million in grants and tax credits from the Empire State Development fund for its $50 million expansion project. Empire State Development spokesman Jason Conwall said none of those state incentives applied to the tank purchases. The project has to earn the state reimbursement money by meeting specific investment and job creation goals over the next 10 years. Those funds could then support future expansion for a restaurant and bar. “Governor Cuomo and Empire State Development support New York State businesses, period,” Conwall said. Feldmeier vice president of sales Dave Pollock said the company submitted a bid for a smaller portion of the Genesee project but it was rejected. This story has been corrected to show that the brewery is eligible for about $10 million in grants and tax credits. It has not received the $10 million in grants and tax credits.